While some manufacturers are moving their tractors to electric, Renault continue to achieve maximum economy from conventional diesel trucks. Recently, the French built an experimental train, the maximum sharpened for fuel economy. 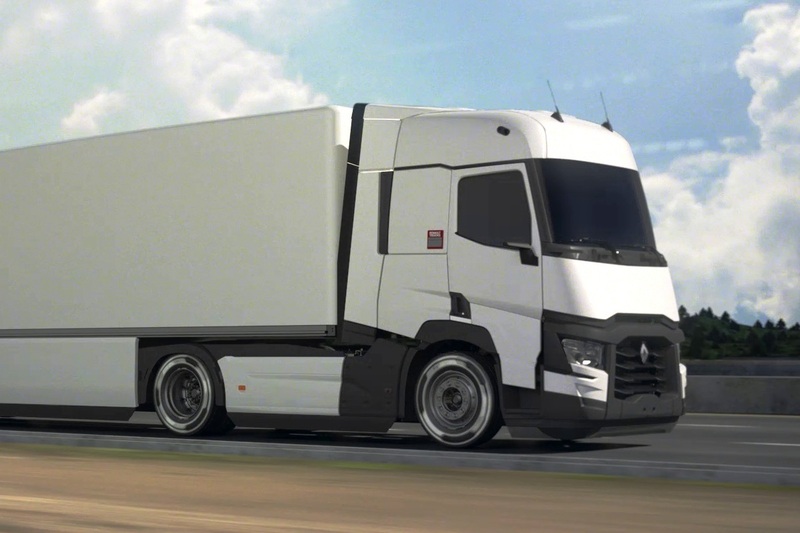 It is created in the framework of the French state programme for the development of the aerodynamic trucks with low fuel consumption. Moreover, the development of this train, called the Optifuel Lab 3, was attended by a dozen different local companies. At the head of the road train — tractor Renault T. But its looks are modified to improve aerodynamic performance. Modified form of the front bumper, removed all protruding elements on the side parts including the side mirrors. They, like the new Mercedes Actros truck, replaced the camera on thin brackets. Rear fairing of the cab located as close to the trailer, the design of which also works on aerodynamics — in the literal sense of the word. Depending on the quantity of the goods inside the roof height may vary, decreasing where there is no pressure. Against this background, the closed flaps of the sidewall doesn’t look anything fancy. Stated that the tractor and trailer are shod with special Michelin tires with reduced rolling resistance. But on a technical stuffing of the road train data yet. It is only known that the truck would get an easy dual battery, and the engine will be flooded with special low-viscosity oil Total. The developers believe that through all the games with the aerodynamics and technology experimental train, compared to conventional, will be able to achieve a 13-percent fuel economy. Economical test trains will begin on the roads of Europe next year, and their results will be announced in early 2020.